the Ratnik-3 exoskeleton from Russian weapons maker TsNiiTochMash. A look at the Iron Man-like dreams and power-starved realities of dueling technology programs. The Russian suit, Ratnik-3, is an imposing web of hexagonal armor plates, black webbing, and small joint motors called actuators. Oleg Faustov, an engineer working with weapons maker TsNiiTochMash, told Russian media outlet TASS this week that the government had already tested a prototype. “It really enhances a serviceman’s physical abilities. For example, the tester was able to shoot from a machine-gun only with one hand and accurately hit targets,” he said at Russia’s recent Army-2018 weapons show. As part of the Army-2018 publicity push, the makers of the suit also made vague and unverifiable claims that it had seen actual combat, according to Sam Bendett, an associate research analyst at CNA and a fellow in Russia studies at the American Foreign Policy Council. “It was interesting that the Russian announcement during Army-2018 stated that the exoskeleton was ‘tested in combat,’ though without any specific details. It’s likely that it was tried in Syria, though the press and media did not cover that development,” he said. While the statement came from the suit’s maker, Bendett said he assumes the claim “had to be approved by the state given the combat claims.” The suit is supposed be officially released in 2025. In addition to an almost comically Black Manta-esque helmet, the Ratnik-3 features “40 life-saving elements,” Russian media says. In many ways, it resembles some of the more recent concept images of the TALOS suit that U.S. Special Operations Forces Command, or SOCOM, is attempting to develop. In both, all those bells and whistles seem to be an obstacle to the suit reaching full utility. Both the Ratnik-3 and TALOS efforts seem constrained by available power. “There are issues with the battery and energy sources for this exoskeleton, as Russia—along with other nations working on this—are trying to create a compact energy source that would allow the soldiers to act independent of any stationary or vehicle-borne sources of energy,” Bendett said. Even Russian media have noted the suit’s power constraints, noting that a battery life of less than four hours isn’t super practical for a day of marching. 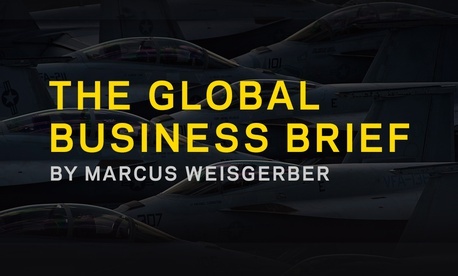 A forthcoming series of reports from the Center for New American Security, or CNA, takes a deep dive into the issue of soldier augmentation and reaches a similar conclusion. “The current state of technology still does not have sufficient power to manage the intense load-carrying capacity that the SOCOM TALOS suit concept requires…and development is needed before full-body exoskeletons will be feasible for infantry combat away from a reliable power source. Still, these advances represent a major step forward in the necessary technology for dismounted soldier exoskeletons,” notes the report. 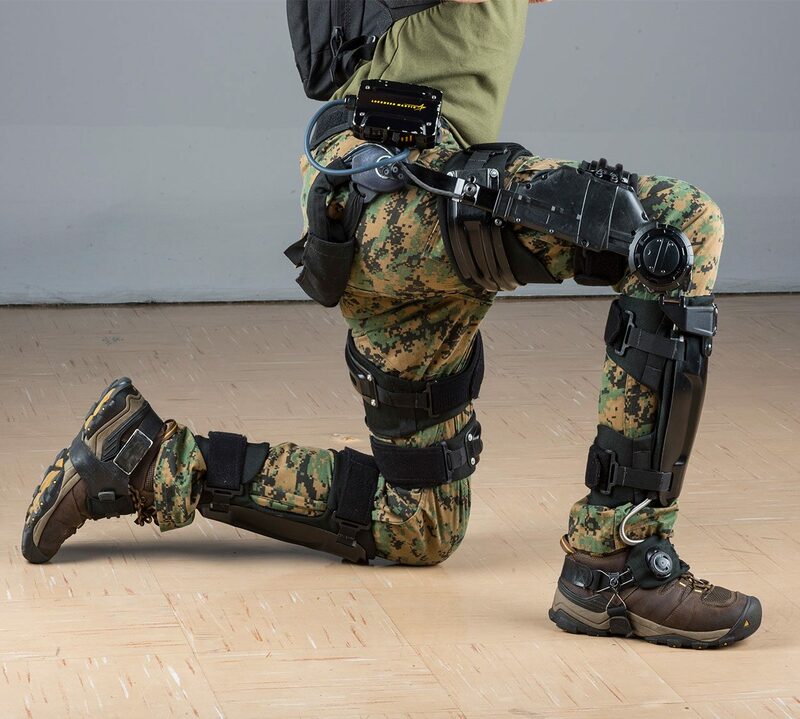 While size and power constraints are hindering the realization of militaries’ most ambitious Iron Man dreams, more modest exoskeleton suits are moving closer to real-world use. The U.S. Army is experimenting with two exoskeleton designs at the Natick Soldier Systems Center in Massachusetts. These won’t protect soldiers from enemy fire but they will help soldiers carry more stuff for longer. And they’ll likely be on the battlefield far sooner. “Exoskeletons with more modest goals, such as lower-body exoskeletons that are designed simply to increase mobility, reduce energy expenditure, and reduce musculoskeletal injuries, may show more promise in the near-term,” according to the CNAS report. 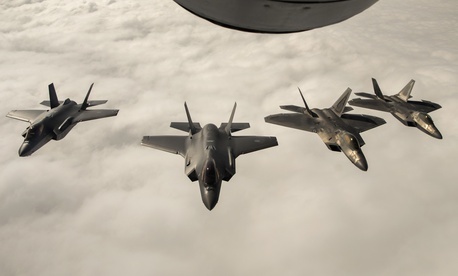 The larger of the two is the ONYX from Lockheed Martin. 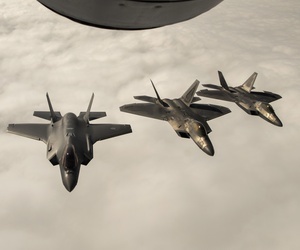 At a Pentagon event in May, Defense One caught up with Keith Maxwell, a product manager from Lockheed Martin, who described the results of initial tests in November, 2016. The ONYX exoskeleton from Lockheed Martin. The ultimate goal of the Army program is a suit that reduces metabolic cost by 25 percent. That basically means one-quarter more running, pulling, etc. The ONYX will run on lithium-ion batteries that allow for eight hours of running, jumping, and other active soldier tasks; that’s about four times the energy endurance of the Russian system. But the ONYX is far from ready for the battlefield. At one point in the Pentagon courtyard demonstration, Army Chief of Staff Gen. Mark Milley came by to inspect the offerings. He noticed the looseness of the straps, exposed wires, audible motors, and other features he said would need to be ruggedized. Said Maxwell, “the statement of work that we submitted to the Army is almost verbatim what Milley says needs to be fixed.” The next step, he said, is working with the University of Florida and the Navy for biomedical evaluation to further refine it for use. “With funding, in six to 12 months this is ready,” he said. The ONYX exoskeleton doesn’t just represent a breakthrough in size and power but also on-board computing. In effect, the skeleton uses a learning, software-based nervous system to understand and predict the unique movements of its wearer. “There’s an AI that is learning the soldier’s gait. The longer the [soldier] is in the system, the system optimizes to push him along through that process,” said Maxwell. “Every system prior to this was either a metronome, where you had to be at a fixed gait, or the system had to catch up and figure out what you were doing… This doesn’t have that. There’s no shutter stopping. No jitters. As fast as the soldier can run, I want the system to be able to run… the kinematics of Usain Bolt are basically what that actuator [motor] is spec’d around,” he said. The other near-term aspect of super-soldier gear that the Army is working on is a heads-up display, basically a Robocop-like visor to help soldiers see and immediately share intelligence about possible threats, targets, etc. Army officials hope to show off a prototype within 24 months. Who will don McCain’s watchdog mantle? 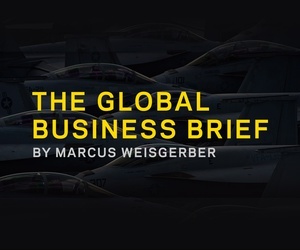 ; A look at niche players; Lockheed bets on underwater tech; and more.